Useful for connecting your TV or monitor to a device which has a Mini-HDMI socket rather than a conventional full size HDMI port. 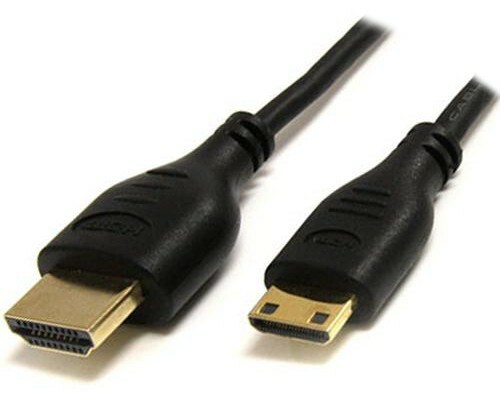 HDMI has become a ubiquitous video connection standard in recent years and although its connector is relatively compact, some equipment manufacturers are now using a smaller style "Mini-HDMI" socket on their devices in order to save space. Mini-HDMI is electrically compatible with HDMI, the only difference being the size of the connector. Mini-HDMI is commonly used on small devices such as video camcorders and ultra compact form factor computers such as Intel's 4th Generation NUC.